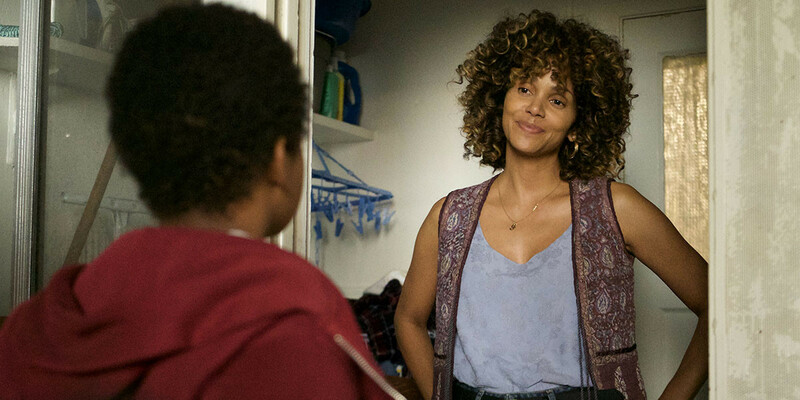 It stars Academy Award-winner Halle Berry (for Monster’s Ball) as Millie Dunbar, an overworked single-mom with 8 foster kids. When civil unrest breaks out, she embarks on a quest to round them up with the help of her agoraphobic next-door neighbor, Obie, the last white guy living in the ‘hood. The hunky shut-in, played by Daniel “007” Craig, summons up the courage to get out of the house for the sake of Millie’s missing brood. This otherwise grim period piece arrives blessed with a retro soundtrack featuring James Brown’s African-American anthem “Say It Loud, I’m Black & I’m Proud,” Bill Withers’ haunting, R&B classic “City of the Angels,” and Nina Simone’s searing rendition of “Ooh Child.” Nevertheless, consider Kings a harrowing descent into depravity that makes The Florida Project look like Leave It to Beaver.